What Is a Proper Marinade and Why Is It Used? A marinade is a liquid solution in which you soak foods, particularly meats, before cooking. A marinade adds flavor to foods and makes them more tender by beginning the breakdown process of cooking. This action can be due to acidic ingredients such as vinegar, wine, or fruit juice, or enzymatic components such as pineapple, papaya, guava, or ginger. The breakdown allows fluids and seasonings to enter the meat so it will maintain its moisture during grilling and not dry out as quickly. 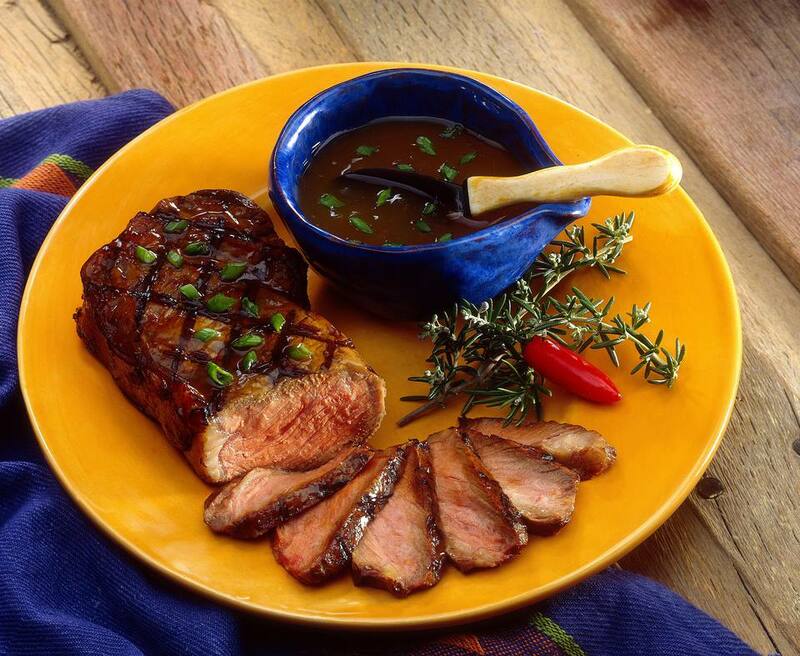 Marinades are particularly important and useful for grilling because of the high, intense heats produced by grills. These can result in the formation of harmful substances on the surface while cooking. An acidic marinade reduces the formation of these chemicals. Meat such as chicken breasts and pork loin are more likely to dry out on the grill and will benefit from a marinade to retain moisture. An example of a good basic marinade would be Italian Dressing. Marinades can be store bought or made at home very easily. How Long Should You Marinate? The amount of time used to marinate different cuts of meat is important. Too long in an acidic marinade can denature proteins and actually lead to a tougher texture for chicken, fish, and seafood. A milder acidic marinade for a shorter time is better for these items. Too long in an enzymatic marinade can make the meat mushy. Fish and seafood should only be marinated briefly, for only 15 minutes to 30 minutes. Two hours is probably long enough for chicken pieces without risking it toughening. Beef and pork can be marinated for longer periods, one to 12 hours. Dense root vegetables can be marinated for 30 minutes to two hours, while softer vegetables only need 30 minutes. Follow the specific recipe instructions for the cut of meat or fish you are using and the strength of the marinade. A marinade comes in contact with uncooked meat, fish, and seafood and therefore it picks up any bacteria that are on those products. It is important to keep the marinating item in the refrigerator and not to marinate at room temperature. You may want to avoid marinating in aluminum foil, metal bowls other than stainless steel, or pottery where the acid from the marinade can react with the metal or glaze and release lead or other unwanted elements. It is best to use glass or a food-safe plastic vessel or a disposable ziplock bag. Always discard marinade that has been in contact with the food you are marinating. Wash any containers used for marinating or, if disposable, toss them. Don't use them for serving or storing the cooked items unless you have properly washed them. Don't use the marinade that has been in contact with the raw food to baste the food as it is cooking. You should have a separate portion of it that hasn't touched the raw food to use for basting or as a sauce.